The crown is up for grabs to whoever can build the richest domain and seize it from their rivals. It’ll take a whole kingdom’s worth of people to accomplish this monumental task. 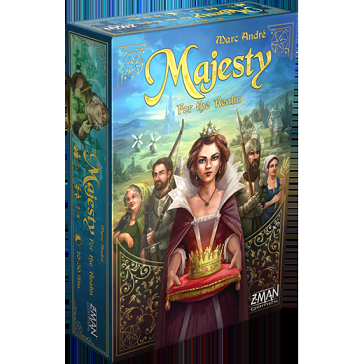 Rally your citizens, grow your power, and reign supreme in Majesty: For the Realm, a game of strategically selecting who you want to work your lands set during the Middle Ages. Each game, you recruit characters to perform jobs that generate gold for your kingdom. Some characters work better with others, opening many paths to victory. Whether you choose to be a silver-tongued monarch who rules with mercy, or an iron-fisted tyrant who crushes their rivals, the fate of the land rests with you.